As a beekeeper, Vladimir Kulyukin is worried about the plight of the honeybee. 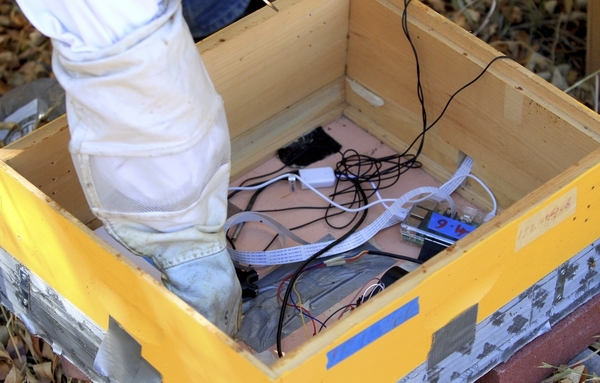 As a computer scientist, he hopes to help curb colony failures by creating robotic hives. The associate professor of computer science has been with Utah State University for 16 years and has spent half of that time as a beekeeper in Cache Valley. 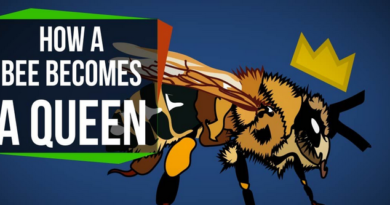 After a reading an article in Time magazine in 2013 about colony collapse, Kulyukin set out to find a way to incorporate his technical background to collect a dataset to help evaluate the health of a hive. In 2014, equipped with a Raspberry Pi — a tiny computer based on a single printed circuit board — and various senors, microphones and other hardware, the BeePi was born and put into use in an empty hive box to begin testing the processes and code written by Kulyukin. 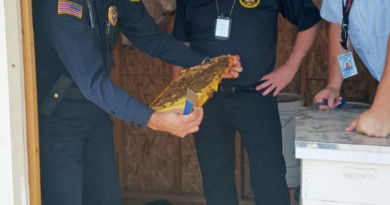 “There is an emerging consensus that electronic beehive monitoring is the way to go, so it can help extract critical data from the hive without disturbing the hive,” Kulyukin said, sitting next to one of his four hives. That winter, Kulyukin put the BeePi into two of his overwintering hives on private property in Cache Valley to fine-tune the device and test its systems. Since the initial testing, Kulyukin has collected hundreds of gigabytes of information as he has improved the design. 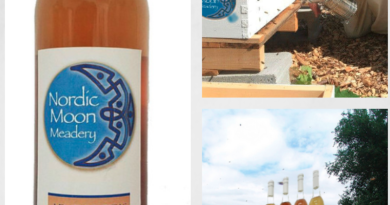 “If you can think about the beehive as an intelligent, immobile robot, essentially monitoring the bee colony inside and letting all interested parties know of deviations from the norm, then it’ll cut down on hive inspections and transportation costs immensely,” Kulyukin said. The device is powered by a USB battery system that allows for nearly two days of continuous runtime. Between the four hives Kulyukin currently monitors, he will travel to each hive every two days to change the batteries and download the 20 megabytes of data accumulated in that time. This year alone, data downloads have amassed nearly 150 gigabytes of audio files, temperature readings and photos of honeybees that gets processed by Kulyukin and his students at USU. Prakhar Amlathe, who is working on his master’s, said he was apprehensive about the project at first because of the fact he could be stung, but his fears were quelled after talking with Kulyukin and realizing much of his work would be done analyzing data. He was intrigued in what could be done as a computer scientist. 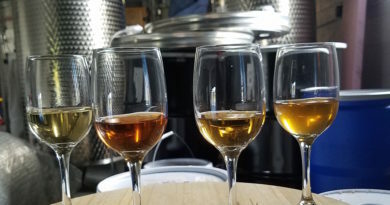 “Initially, you have a general perspective of bees, but I realized what the actual purpose was and the crucial aspect in the data were are doing that can help analyze the patterns through the data,” Amlathe said. Much of the analysis allows for a beekeeper to skip traditional methods, like a bee smoker, to calm the bees when approaching the hive to evaluate the health or inspect production. When a keeper approaches a hive, they monitor forager traffic — bees moving in and out collecting resources — to determine the health of the colony, Kulyukin said. With BeePi, bee traffic is monitored via two small board cameras: one mounted looking from the top and one from the side. Kulyukin said through the BeePi’s still photo monitoring, he can approximate the accuracy of human bee counting to about 90 percent, depending on weather. In addition to the cameras, there are various microphones mounted inside and outside the hive to record the audio patterns. While the raw audio files sound, as you’d expect, like a buzz, Kulyukin has translated the files into musical notes set to a piano key creating a bee symphony. “There is a fact in apiary science that the audio patterns of the bees have a cyclical pattern, and I’ve been able to computationally verify that by analyzing the samples. You can tell when it is morning or afternoon as well as other events during a day or season,” Kulyukin said. Kulyukin said through the translations into music, the raw audio can be analyzed by a human ear and through a computer to hear patterns and be turned into valuable information about the health of the colony. 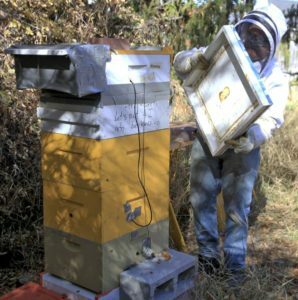 While the BeePi is still in its infancy, Kulyukin organized a Kickstarter campaign to source funds to build two additional monitors to be used at another beekeeper’s hives in the valley. Two weeks into the campaign, he was able to reach his $1,000 goal through support from around the world, he said. Currently the BeePi funding sits at $2,290, and Kulyukin hopes as more backers step in he can build a larger network and possibly fund student research. One BeePi setup — in its current form — costs about $400 to build with the various components, Kulyukin said. Although it could be something he could market and sell, he has made all the coding and plans available to anyone who wants in hopes of also creating a nationwide or even worldwide network. Kulyukin hopes as they dial in the BeePi and get more backers, the project will attract biologists, entomologists and event climate scientists, as well as those who may not realize what contributions computer science can make on honeybee research.